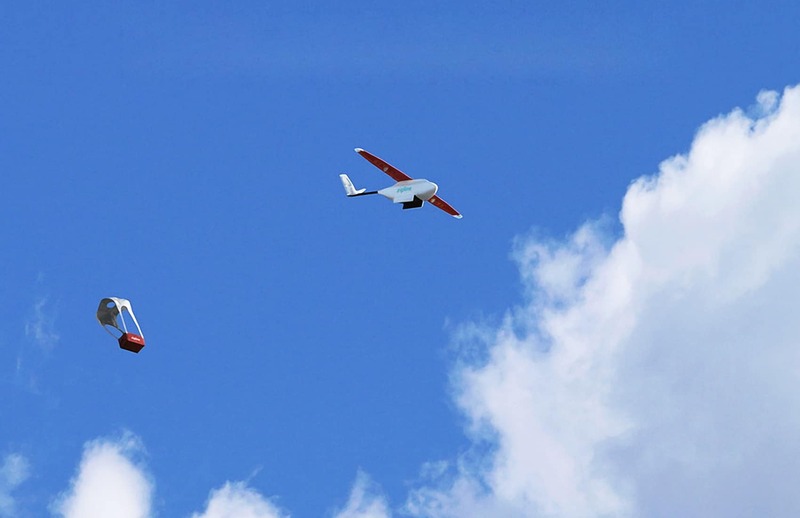 Costa Rica’s Social Security System, or Caja, plans to start using drones to deliver medicine to remote indigenous communities. The plan, which the Caja says it will launch next year, aims to deliver needed medical supplies faster and over a wider area of the mountainous region of the Caribbean province of Limón. The drone program will benefit patients from eight indigenous communities that currently receive health services and medicine at two community clinics, or EBAIS. Estimates are that each delivery using drones would take 30-45 minutes. Currently, it takes three hours to three days to deliver medicine to both EBAIS clinics, said Esteban Vega, Caja’s national coordinator of pharmaceutical services. Vega said the Comptroller General’s Office already approved a contract with San Francisco-based company Zipline to provide the drones and controlling systems. The agency initially will sign a one-year contract that includes the delivery of up to 13,200 packages per month at a monthly cost of $26,136. Each additional delivery would cost $1.98. Officials estimate that deliveries could start in six months. A delivery order is triggered when an EBAIS doctor issues a prescription using Caja’s Digital Health Records system. A pharmacist at a local clinic in the Caribbean town of Bribri prepares the prescription and packages the medicine inside a special, protective container. The package would then be placed inside the drone that will be tracked in real time by a GPS system. The online system would notify EBAIS staff when the medicine arrives and then the drone would drop off the package using a remote-controlled release. Danilo Monge, Caja’s manager of infrastructure and technology, said officials carried out several studies that concluded that using drones for delivering medicine was fully viable for the region. Among others, studies evaluated flight times, package weights, package safety measures, legal aspects, costs analysis, and geographic and climatic conditions. They also submitted the plan for evaluation by the Civil Aviation Authority. Results of all those studies were part of the application submitted and approved by the Comptroller’s General Office, Caja reported. The drone delivery program is Caja’s latest effort to get medicine to difficult-to-access parts of the country. In the past — and present — agency staff has used boats, bicycles, motorcycles and even horses to deliver medicine. In 2014, the Caja even considered a plan to use donkeys to transport doctors and medicine to nearly 500 residents of Punta Burica, Costa Rica’s southernmost point, which is inhabited mainly by Ngöbe indigenous people. The plan, however, was dismissed after various evaluations.